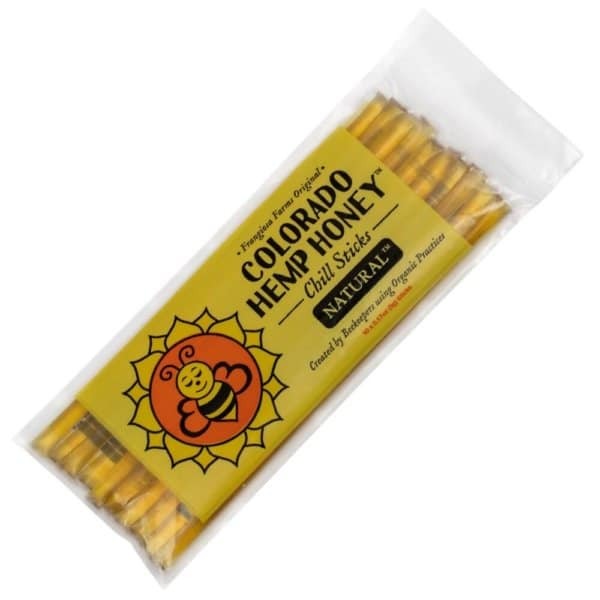 Bringing together pure, raw, honest-to-goodness honey and Colorado-grown, full-spectrum hemp extract, these Hemp Honey Chill Sticks put the “super” in superfood. Enjoy the natural taste of Rocky Mountain honey, with just a hint of hemp, or choose from one of three delicious flavors: Lemon Aid, Mandarin Magic or Ginger Snap. Each stick contains all-natural ingredients, including cannabinoids, omega-3, omega-6, terpenes, trace vitamins and minerals, and of course, raw honey. 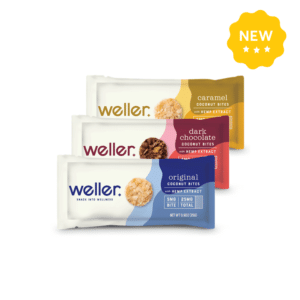 They’re the perfect travel snack, or a healthy and invigorating boost when out hiking, camping or exercising. Add one to your lunchbox for a timely, midday serving of CBD. Why Choose Raw Relief Honey Chill Sticks? Against a backdrop of earthy and unpalatable CBD supplements, these hemp honey sticks stand apart as fun and flavorful. Easy to use, discreet and convenient, each stick is packed with organic ingredients and tasty essential oils. There’s enough of a hempy taste to know that it’s there, but the sweet, 100 percent raw honey plays the starring role. One taste and it’s clear to see that the beekeepers behind this product know exactly what they’re doing. 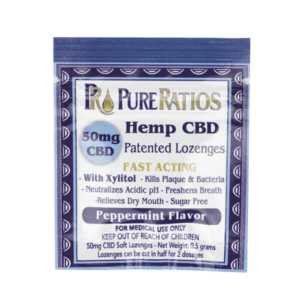 15 mg of CBD per stick (150 mg of CBD in total per each 10 pack). What’s more, it’s produced by a US, veteran-owned company, and a portion of the profits is donated to charities that support veterans with PTSD. 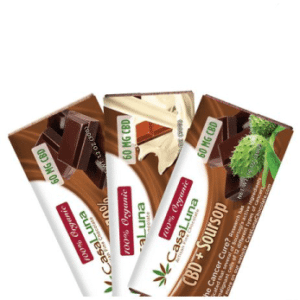 A tasty way to enjoy CBD and an opportunity to give back — what’s not to love? To prepare, remove the tip of a Chill Stick tube with scissors. Your CBD-infused honey can be enjoyed straight from the tube or by adding it to food or drink. We recommend eating one stick and waiting 30 minutes to observe how your body reacts. You can then eat a second one if required. If the honey has crystallized, gently warm it to turn it back into a liquid. You may also observe some color variations — this is completely normal. 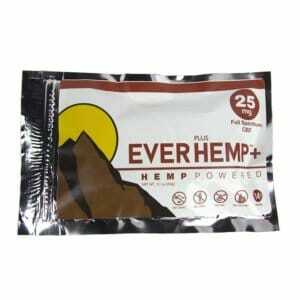 Thanks to the full-spectrum hemp oil extract, you get much more than just CBD in each serving. Hemp benefits from naturally occurring cannabinoids, terpenes and phytonutrients, meaning you get more of the good stuff found in the plant. The hemp is extracted via a unique, reusable process that helps maintain a superior quality in the final product. And everything is triple tested for purity and potency. CBD honey is an edible CBD product that infuses honey with hemp oil to deliver beneficial cannabinoids and organic ingredients as a healthy daily supplement. Honey is already rich in antioxidants, and it also boasts antibacterial and antiseptic qualities. 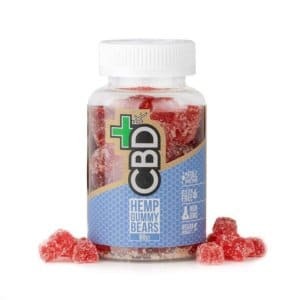 And when paired with the soothing, calming effects of CBD, you have a delicious, all-action superfood. Whether you use hemp oil for pain relief or to relax, CBD honey is a great option. CBD honey sticks are individually packaged tubes of honey infused with all-natural, organic ingredients and full-spectrum hemp oil. 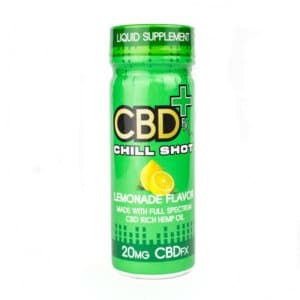 They are a discreet and convenient way to enjoy a daily serving of CBD, whether at home or on the go. 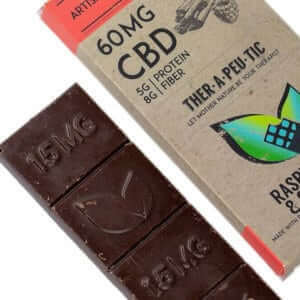 How do CBD edibles affect you? 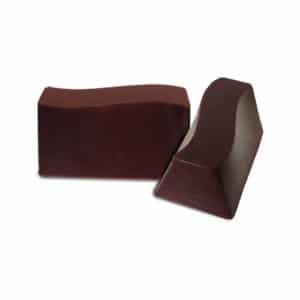 CBD edibles are non-psychoactive and do not result in a “high.” Instead, they help soothe pain and calm busy minds. And, in contrast to smoking cannabis or inhaling CBD with a vape pen, CBD edibles’ effects last far longer. 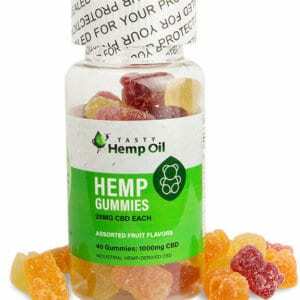 Combined with other foodstuffs, CBD is released slowly over the course of a few hours as the food is digested in your stomach. This means those soothing effects can last anywhere from 2-4 hours longer than CBD vapes. How long does CBD honey take to work? Typically, CBD honey will get to work between 30 minutes and two hours after consumption. That’s why it’s recommended that you start with one serving and wait around 30 minutes before eating a second serving so that you can observe how your body reacts after metabolizing the cannabinoids.